In a swift air strike, the Indian Air Force (IAF) pounded Jaish-e-Mohammed’s (JeM) biggest terror camp in Balakot, across the Line of Control (LoC), in a pre-dawn strike on February 26. The air strike hit a resort-styled camp on a hilltop forest by Mirage 2000 fighter jets and caught “a very large number of JeM terrorists” in their sleep, reports suggest. The strike, described as “non-military” and “pre-emptive”, is the first by the IAF inside Pakistan since the 1971 war. It was conducted under the supervision of Air Force Chief Birender Singh Dhanoa. 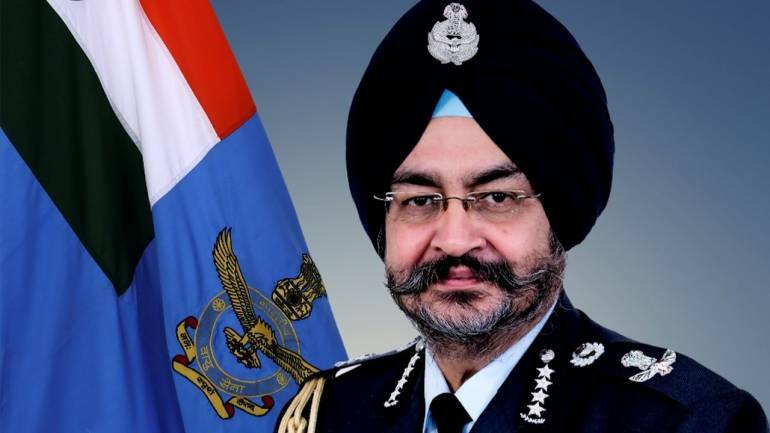 A Kargil war veteran and first-rate fighter pilot, Air Chief Marshal BS Dhanoa prepared the action plan of the air strike as a retaliatory response after the bombing in Pulwama, which killed 40 CRPF jawans, according to a report by the Indian Today. Air Chief Marshal Dhanoa was born to a family of war veterans on September 7, 1957 at SAS Nagar in Punjab. He is an alumnus of Rashtriya Indian Military College and went to the National Defence Academy (NDA) and the Defence Services Staff College, Wellington. In June 1978, Dhanoa was commissioned in the IAF as a fighter pilot and has since added many feathers to his hat. As Commanding Officer of a front line ground attack fighter squadron, he led the IAF punch during the ‘Limited War’ against Pakistan to evict the enemy from their ‘dug in’ defences in the icy heights of Kargil region in 1999. During the conflict, under his leadership and supervision, the squadron devised unique and innovative methods of bombing in the night at altitudes never before attempted in the history of Air Warfare. Prior to the war, the squadron, known for its high degree of professionalism and peace time training had been adjudged as the best fighter squadron of HQ WAC. After the conflict, it emerged as the most decorated IAF unit of the Kargil War. The Air Chief Marshal himself was awarded Vayu Sena Medal (VSM) for his exceptional devotion to duty prior to the war and the coveted Yudh Seva Medal (YSM) post war for his outstanding bravery and leadership during the conflict, both in the year 1999. In 2015, he was awarded with the Ati Vishisht Seva Medal (AVSM) by the President Pranab Mukherjee. On August 1, 2015, he was appointed Honorary ADC to the President of India. In 2016, was awarded Param Vishisht Seva Medal (PVSM) by the President. On January 1, 2017, the Air Chief Marshal took over as the Chief of the Air Staff. He has mainly flown the Kiran and MiG-21 aircraft. However, he reportedly has flying experience across the entire spectrum of fighter jets, from the Jaguar to the state-of-the-art MiG-29 and Su-30 MKi, with an immaculate record of flight safety throughout his distinguished career as a field commander.